A real-time strategy taking place in a fantasy universe inspired by Nordic mythology and the Viking way of life. Northgard allows the players to lead a group of Vikings, who after years of tedious exploration have found a mysterious, resource-rich land. Northgard for PC is a real-time strategy taking place in a fantasy universe inspired by Nordic mythology. The game was developed by Shiro Games, an independent studio previously known for Evoland, an original series of action-adventure games. 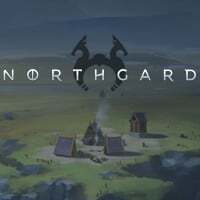 Northgard’s gameplay was inspired by classic real-time strategy games series such as Age of Empires, Age of Mythology, or The Settlers. The developers didn’t limit themselves to replaying typical genre staples like resource gathering, settlement expansion, and group on group combat. As the action of the game takes place in far north, Shiro Games decided to introduce survival elements: one of our objectives is to care for our clan’s safety and survival during long and frosty winters. The list of our enemies is also more in a shape of a fantasy game: bloodthirsty wolves, undead warriors, and a wide range of mythical creatures, including mighty giants with whom we can become friendly with, or if this doesn’t work out, proceed with the only proper solution – combat. Northgard is complemented by detailed 3D graphics with a light comic-book design, and employs an isometric camera. Certain design choices and the game’s light-heartness may evoke the latest installments of The Settlers series. Game score 8.675 / 10 calculated out of 191 players' votes. Expectations before the premiere: 7.6 / 10 calculated out of 89 players' votes. A real-time strategy will take you into a fantasy universe of Scandinavian mythology and the Viking way of life. Northgard allows the players to lead a group of Vikings, who after years of tedious exploration, have found a mysterious, resource-rich land.